Have this as my wallpaper, a painting from Van Gogh. Amazing how a great artist can make something made with pigments on canvas seem to glow like this one does. It's a type caleld Impressionistic, dabs of pure color which, when grouped together, make an overall image, which seems to almost move. I haven't painted in a long time, if there was time would like to do something like this. OK, admittedly not at the quality - but that doesn't matter. Creating something like this is in the school of writing, world building, scene building. Nice thing about the web is then you can share it with the world. I need to finish a painting sometime - update my Gallery page. Read this story in an email this morning. I've seen this one before, couple of times over the years I'm sure. Whether or not it's true doesn't matter. Normally I'd read these touching Pay It Forward type of emails, get a warm and fuzzy, then delete them. I never forward them, and never read the end where they always tell you to pass it on or you'll never get into heaven or something. This one didn't say that, just told the story, and people pass it on if they want. Anyway, seemed an appropriate message overall, considering some things that have happened in the past week in my own life, and I know we all can use a little life lesson now and then. So, anyway, here it is, take it for whatever it is. on it, like somebody out of a 1940's movie. lived in it for years. All the furniture was covered with sheets. on the counters. In the corner was a cardboard box filled with photos and glassware. to the cab, then returned to assist the woman. 'It's not the shortest way,' I answered quickly. 'Oh, I don't mind,' she said. 'I'm in no hurry I'm on my way to a hospice. long.' I quietly reached over and shut off the meter. the building where she had once worked as an elevator operator. that had once been a ballroom where she had gone dancing as a girl. would sit staring into the darkness, saying nothing. like a small convalescent home, with a driveway that passed under a portico. Solicitous and intent, watching her every move. They must have been expecting her. the door. The woman was already seated in a wheelchair. 'You gave an old woman a little moment of joy,' she said. light.. Behind me, a door shut. It was the sound of the closing of a life..
aimlessly lost in thought. For the rest of that day, I could hardly talk. review, I don't think that I have done anything more important in my life. wrapped in what others may consider a small one. Thanks to distant relative (not sure if we're related in any way, but you never know) Lee Keohane of Somerset, England, for passing on this very cool photo of an oddly-appropriate epitaph he saw on a memorial plaque for another Keohane at a place called Monkey World. I guess an obsession with apes is hereditary. 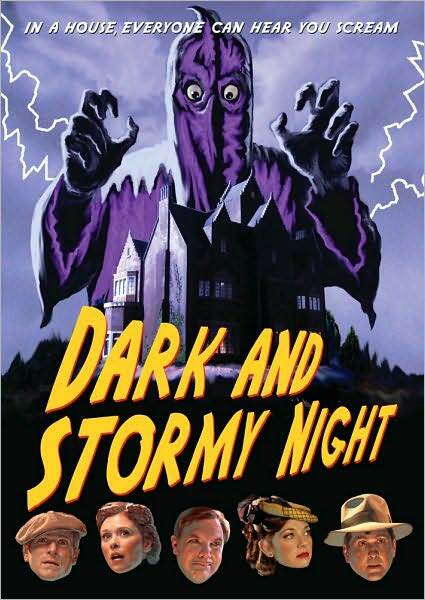 My Double Feature review of Larry Blamire's THE LOST SKELETON RETURNS AGAIN (2010) and DARK AND STORMY NIGHT (2010) is now playing at Cinema Knife Fight. Check it out and be informed.